49 reasons why the BlackBerry Storm is the ideal for international travelers. | BlackBerry Blast! BlackBerry Blast! 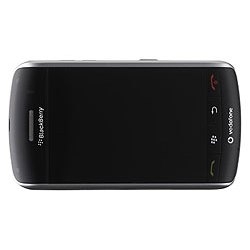 > News > 49 reasons why the BlackBerry Storm is the ideal for international travelers. 49 reasons why the BlackBerry Storm is the ideal for international travelers. VodafoneRental Blog has published their list of 49 reasons why the BlackBerry Storm smartphone is the ideal gadget for international travelers. Check it out. "The BlackBerry Storm smartphone is packed with so many time saving features from its built-in GPS, helping you navigate around and find local tourist attractions, to its 3G / HSDPA (High Speed Download Packet Access - super fast data downloading to you and me) meaning you'll be downloading emails and attachments as well as browsing the internet at lightening speeds!"